Hi Everyone, it has been a while since are last mod release. We have been busy working on The Hobbit and Experts of Dangerous. Both games are going great and I hope everyone is planning on getting one. We have been working on a lot of mods in the background and are now going to start releasing them slowly. We are releasing 3 of them today and a few more next week sometime. 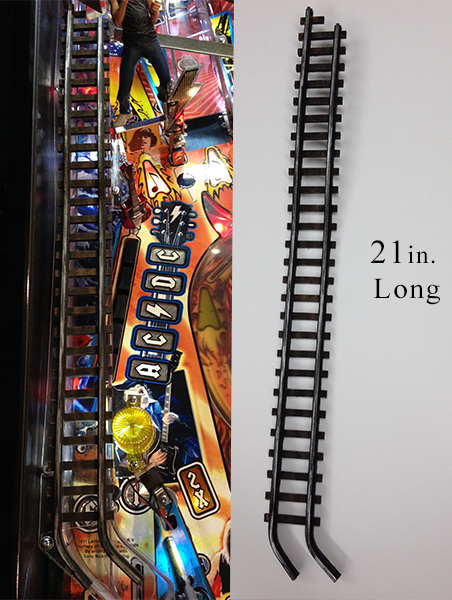 First mods is a Train Track that is 21in long and is molded to the shape of the ramp. 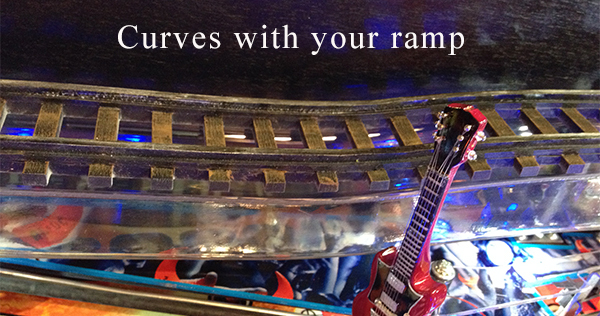 By this we mean it follows the curves of the ramp up and down. Also the tracks feature a broken end at the top to match the existing track under the train. The bottom end curves with the ramp into the in-lane. These tracks match the style and shape of the ones under the train, same size width and over all shape. This way it looks exactly like the tracks continue from the train. Tracks mount using the existing holes from the 2 stand off post that mount the ramp on the left. Simply unscrew the screw, lay tracks down and reinstall the screws through the mounting tabs on the tracks. 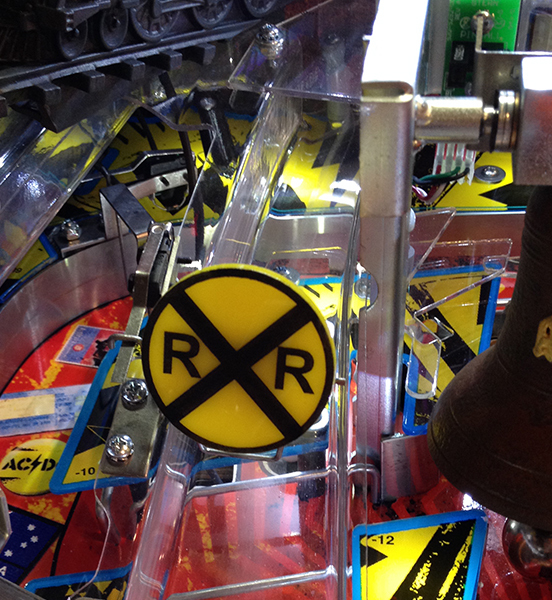 Tracks sit on top of the ramp allowing the ball to roll under the tracks freely. We have made a sign for each ramp. 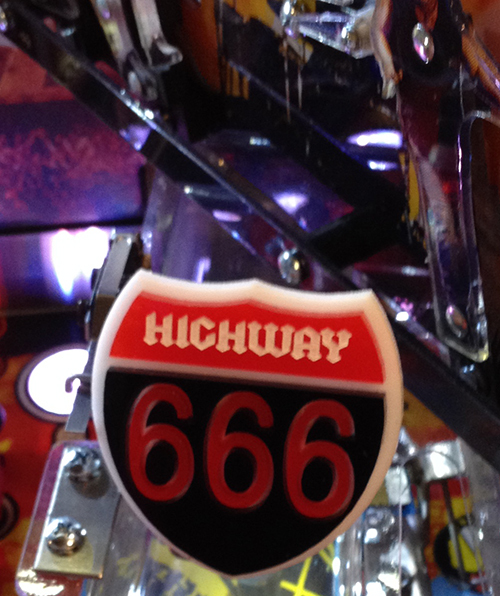 The left ramp sign is Highway 666. Sign is made from multilayer acrylic and has a mounting bracket on the back. Simply peel off the mounting tape and stick it to the top of the gate. We have made a sign for each ramp. The right ramp sign is a railroad crossing sign. Sign is made from multilayer acrylic and has a mounting bracket on the back. Simply peel off the mounting tape and stick it to the top of the gate. Goes great with the train and tracks on the left ramp. We have been getting lots of request for package deals in the past so we are going to start offering them. 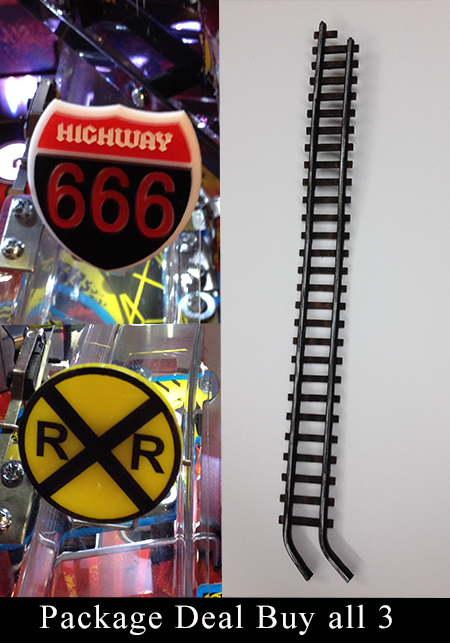 This package includes the Train Track, railroad Crossing sign and the Highway 666 sign.